All meals onboard the Proud Mary, FREE onshore tours, FREE guided nature walks and eco-excursions, FREE bike and canoe hire and FREE onboard tea and coffee. 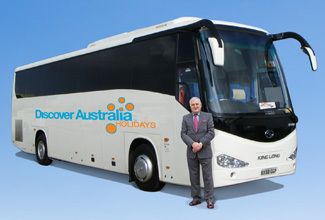 Arrive in Mannum and board the waiting coach for your tour to Reedy Creek Environmental Park. Enjoy a guided tour with the onboard ecologist and learn about the special landscape and its effect on the surrounding countryside. You will be personally met at your hotel by a DISCOVER AUSTRALIA representative and transferred to the airport to meet your flight home. You will be personally met by a DISCOVER AUSTRALIA representative and transferred from the airport to your hotel and from your hotel to the airport to meet your flight home. 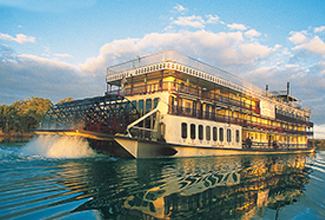 The Adelaide All-Inclusive with Proud Mary 3 Day Murray River Cruise is very popular. Many dates book out well in advance, please book soon.